This article is based on my experience as an educator or a teacher. Teaching for me is an honest profession and it is not possible for everyone to become a successful teacher. It requires much more than degrees and qualifications.In fact, it demands innumerable qualities such as sincerity, accountability, patience, empathy, etc. to name a few. I’m proud of myself recollecting the successes of my students in terms of result and career. It has helped mebuild and work on my weaknesses and encourages meeveryday to do better. Even as a teacher we do learn lots of new things from our students which contributes to making one a better and understanding teacher. As for some of us, teaching is not just a job but a passion and so we give our all not just to produce good results but alsoresponsible citizen. Here, I would like to share my own story; having parents who loved education, I was sent to one of the best private institutions with the best teachers who taught me almost everything and my due appreciation goes to them. The question is how was I taught? The strongest tool to make me learn and mug up everything despite my average memory was punishment. It was not psychological teaching where the focus should be on the student’s capabilities and interests. Learning was never exciting as we were not taught about its utilities and relevant examples were absent. Teachers nowadays are well qualified and teach not just the subject but use all the sophisticated educational technologies for effective learning. Teachers are expected to evaluate the students continuously for remedial teaching and also present their topics with relevant practical examples to make learning useful and applicable for the learners. 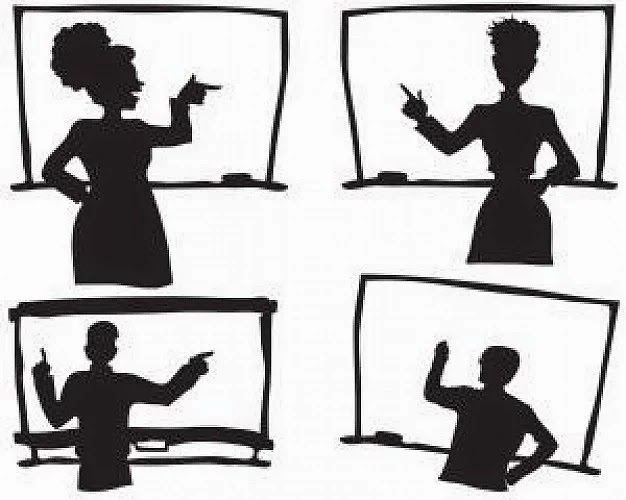 Being a teacher, we do influence the life of students directly or indirectly and so a teacher has a huge role to play. Besides doing our bit in educating the child, it happens that parents sometimes expect too much from the teacher not realizing it’s not just difficult but alsoquite impossible. As a result, the student’s entire success depends on the teachers’ effort which is not always the same with each individual student/children. Having mentioned about what teaching is and the importance of teachers, let’s get to the most important part of this write-up, which is, “Does the society appreciate my hard work and effort?” Being in this profession I always get the sympathy of others but not their respect and appreciation. Our society does recognize all types of government employees, except the honest efforts and contributions of educators. In my five years of teaching profession, there are only a handful of parents and students who actually appreciated me for my work as a teacher and I have also seen my fellow colleagues being given the same. Having had our last parents-teachers meeting in September where I personally met around forty parents and guardians, not more than five actually appreciated the forgotten effort. Our society has to change for the better by showing respect and gratitude to these teachers for educating our children. In my present work place we don’t teach just the subject but punctuality, sincerity, respect for individuality, team work, integrity, hard work, etc. and many more, which is true education. It is high time we should recognize and appreciate our teachers and not just blame them for the failure of our children. As it is famously pointed out, “Teachers are the maker of society”. Here’s my experience; one time while travelling back home, a co-passenger asked my profession, not knowing and least expecting what I was about to tell him. When I told him that I am a teacher he did not lose any time asking me, ‘private or government?’ After that I got the sympathetic expression along with the last question which is an advice really, “why don’t you try competitive exams?” You can imagine how I felt at that moment. First of all,my co-passenger, did not realize the extent of the contributions of a teacher. Secondly, the incident goes to show how easy it is to break or make a teacher’s conviction knowingly or unknowingly. Of course,I don’t blame my co-passenger for that. It is a testament as to how teachers are perceived by the society. For that matter, perceptions ought to change. Respect and appreciation should not be based on how much money one makes in a month or in a year but it should be earned based on one’s contribution to the society. It is said that on an average, even spiritual gurus save much more than a teacher. In my profession we don’t expect awards and cash prizes from the society but a little respect from society and a small gesture of “Thank you” from parents and students will go a long way. It will help us shape better leaders in the future. It’s time to realize that teachers can do a better job if motivated and appreciated by parents and society, therefore understanding the fact that we all love to be appreciated, be it for a small achievement or a big one. Our development in all fields depends on the kind of teacher and the appreciation we show.